Londonist attended the long awaited opening of the South African restaurant Shaka Zulu in Camden back at the beginning of the month and, to put it bluntly, we weren't terribly impressed! There were far too many people invited - after queuing for 20 minutes to get in we were then faced with a monster wait for the bar. The restaurant space below was closed off to allow Zulu King Goodwill Zwelithini and Amy Winehouse to dine together, and the bar/club area was so full you couldn’t move. The ladies had no loo roll all night (too much information, sorry!) and only two cubicles. So, you can imagine the queue. The canapés finally made an appearance at 10pm and by that time everyone had formed yet another queue to the kitchen. The chef couldn’t get the canapés out fast enough. People were queuing up to take a whole tray to their tables, it was like feeding time at the zoo. Sadly, we didn’t get to try any food; we didn’t fancy our chances against the stampede and if we wanted to queue we'd have gone to the supermarket. Let’s hope Shaka Zulu can pull their reputation back with some great food as most of the people left the opening more than a little disappointed. 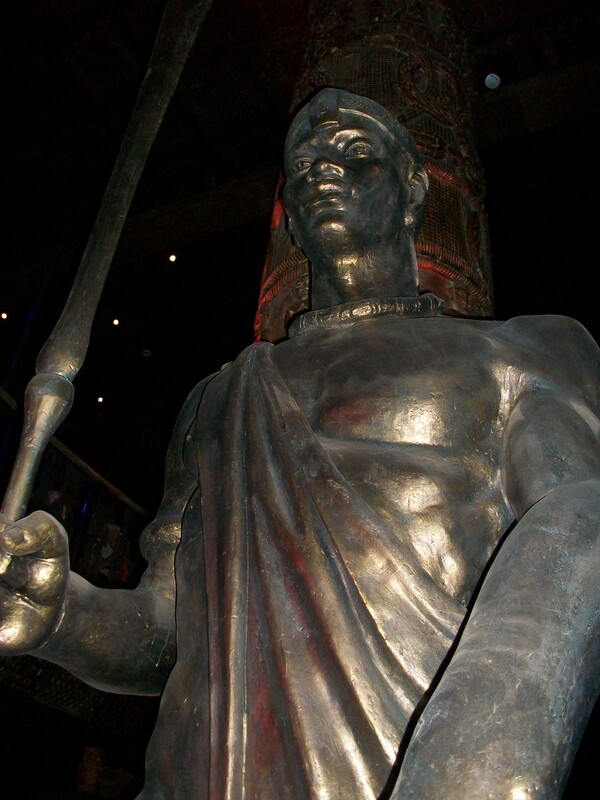 Shaka Zulu is located at Stables Market in Camden, just below Gilgamesh restaurant. Visit www.shaka-zulu.com for more info.